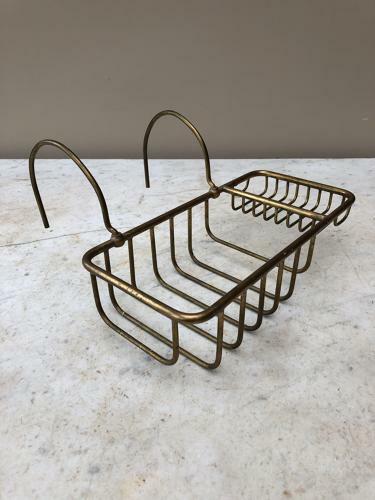 Victorian Brass Bath Rack - Flannel, Bottles & Soap. Loevly condition Victorian Brass Bath Rack. Hangs on the side of the bath. Compartment for bottles/flannel & a soap section. The depth on measurements includes the handles when it is hanging at the side of the bath the depth of the actual rack is 13cm.